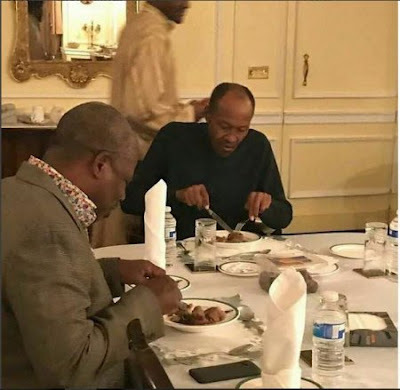 Not minding rumour mongers, President Muhammadu Buhari over the weekend was pictured with the governor of Ogun state, Ibikunle Amosun taking dinner on Sunday, January 30. The president is on vacation in the United Kingdom, but a statement from his spokespersons had said he would use the opportunity to attend to his medical need. This has been however misconstrued to mean that the president was suffering grave health challenges with some claiming he might have been dead.